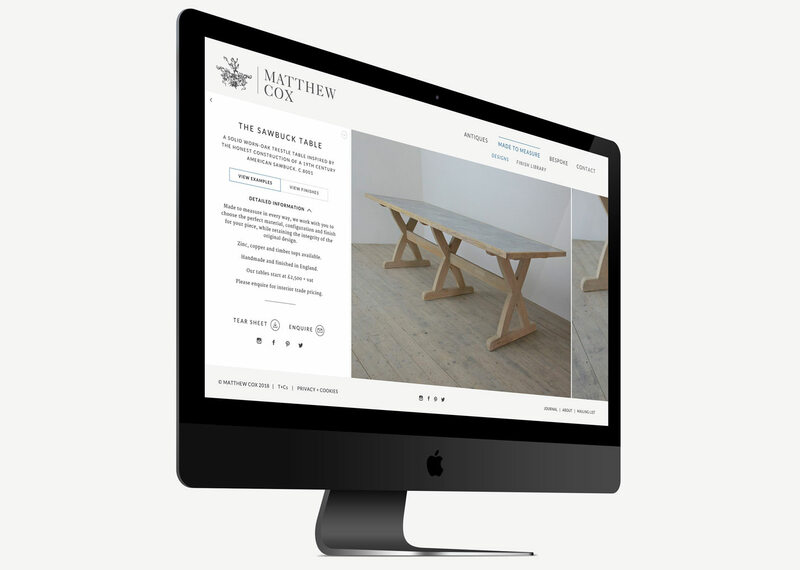 Already well known in the antiques and furniture making world, Matthew Cox wanted to carry his bespoke style into a new horizontally responsive website. 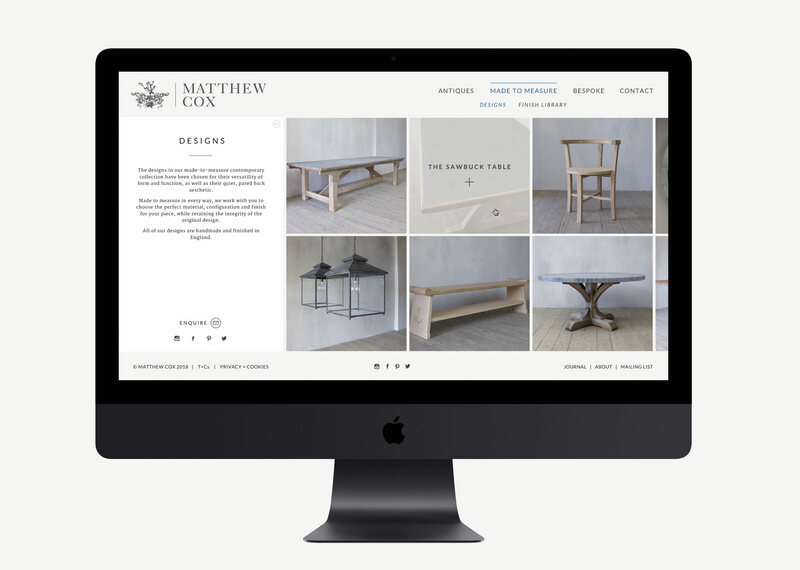 Matthew has a great talent for arranging and photographing his pieces, so visually the site had to be clean and simple in order to showcase the rich and creative nature of the images. 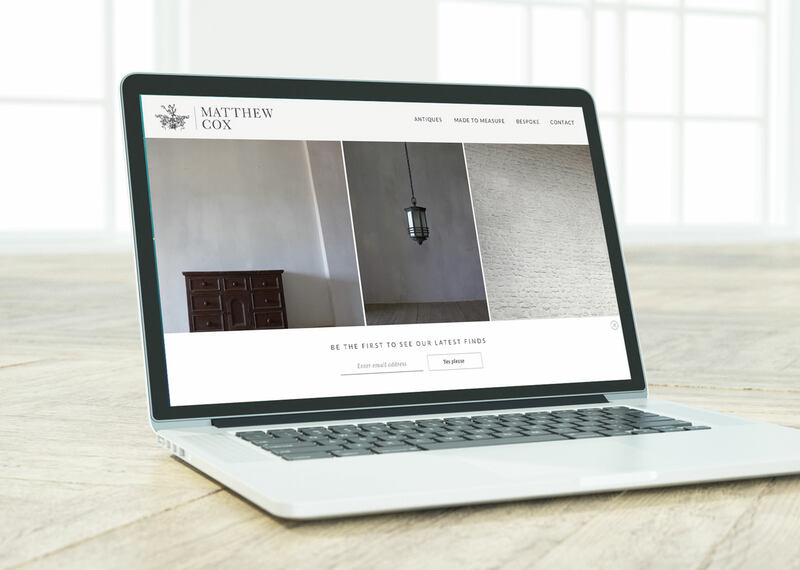 Clean layouts, sophisticated typography and a minimal colour palette were used to achieve this. 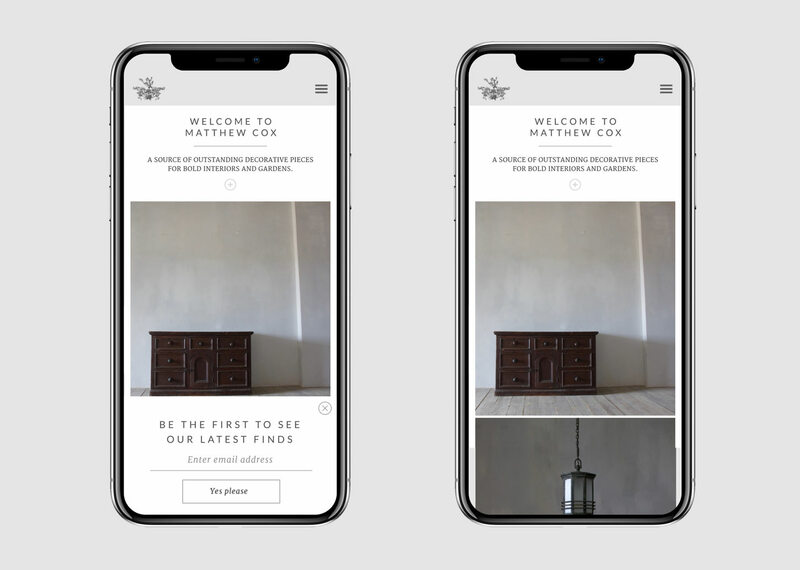 The site has been developed further for 2018 to include newsletter sign up, general enhancements and revised product layouts to emphasis the Made to Measure offering. Site build and project management by Webigence.